Sprinkle is an extremely popular game that has been around since 2011 (yes, that long), and today developer Mediocre has finally released a much-anticipated follow up title: Sprinkle Islands. Known more recently for releasing the also-popular game Granny Smith, the developers haven't been asleep at the wheel when it comes to a sequel to Sprinkle. Islands picks up where the original game left off, adding new game mechanics and improved graphics that were already top-of-the-line. The latest iteration of Sprinkle hits Google Play today, so let's take a little deeper look at the game after the break. If you're familiar with the original Sprinkle game, you'll feel right at home with Sprinkle Islands. The game has improved its control scheme for those who have never played as well, which is better for everyone. Rather than having independent controls for moving the arm up and down and another for controlling angle, the controls are now a simple single swipe to control both the arm and the angle. The red button to control water shooting is still here, accented by a more pronounced water level indicator on the right side of the screen. 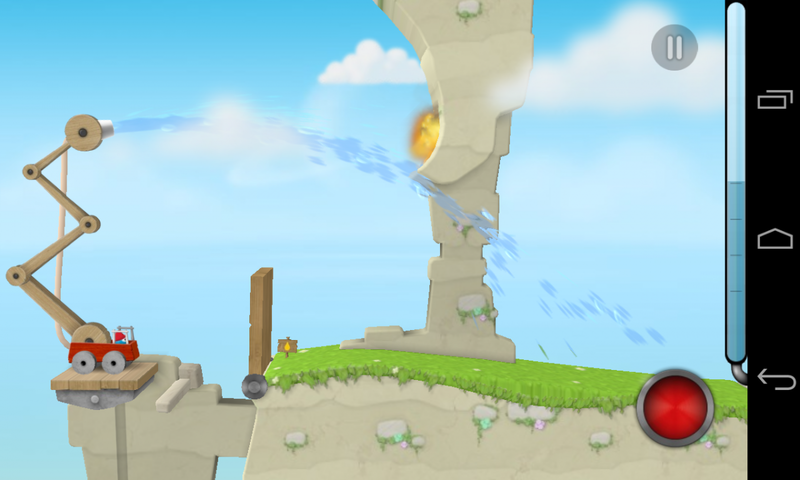 As for the actual gameplay, Sprinkle Islands evolves the original game's idea to now include more interactive level elements and a moving fire truck. Instead of staying put at one end of the level and shooting at the other, you now move through different portions one "stage" at a time, passing obstacles and putting out fires. Some levels include interactive portions that require button taps to manipulate the level, adding onto the increased "puzzle" nature of the game. 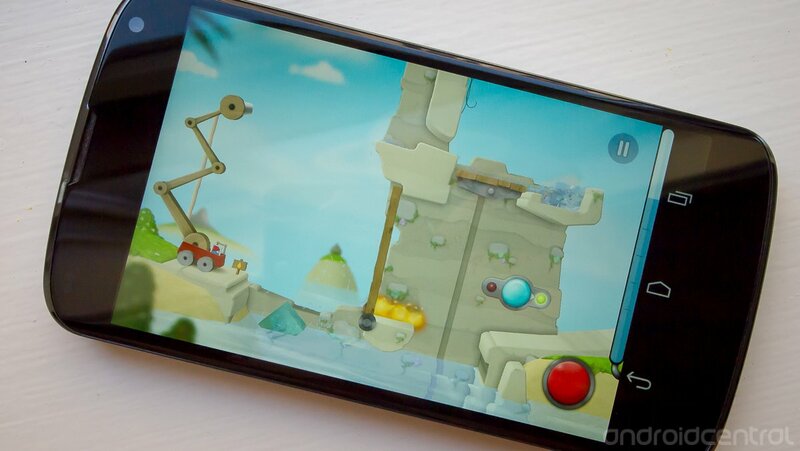 Just as was the case with the original, you'll be experiencing extremely high-quality graphics, sound and physics throughout Sprinkle Islands. Mediocre went out of its way again to provide a great physics engine to power the water and objects, pushing things further with endless oceans and pools in each level. Sprinkle Islands hits Google Play today for the great price of $1.99, which includes 48 full-featured levels spanned across four different island-themed environments. If you're just looking to get your feet wet (pardon the pun) before buying the full game, there is also a free version that will give a taste of the first 8 levels of the series. We found Sprinkle Islands to be a worthy successor to the successful original game, and can't wait to play through it from start to finish.